Its a simple mint pulav with rice. I replaced the rice with cracked wheat. The cracked wheat i have used is bigger size . Its definitely a low carb food for diabetic persons and good for weight loss. Wash the mint and coriander leaves and remove from the stem. In a blender, blend the mint,coriander leaves and green chilli as paste. Heat oil in pan, once hot place the ingredients under temper. Once splutter add ginger garlic paste and saute well. Add onions and cook till its done. Now add the ground paste and cook till raw smells goes. Add cracked wheat,2 cups of water and salt mix well . 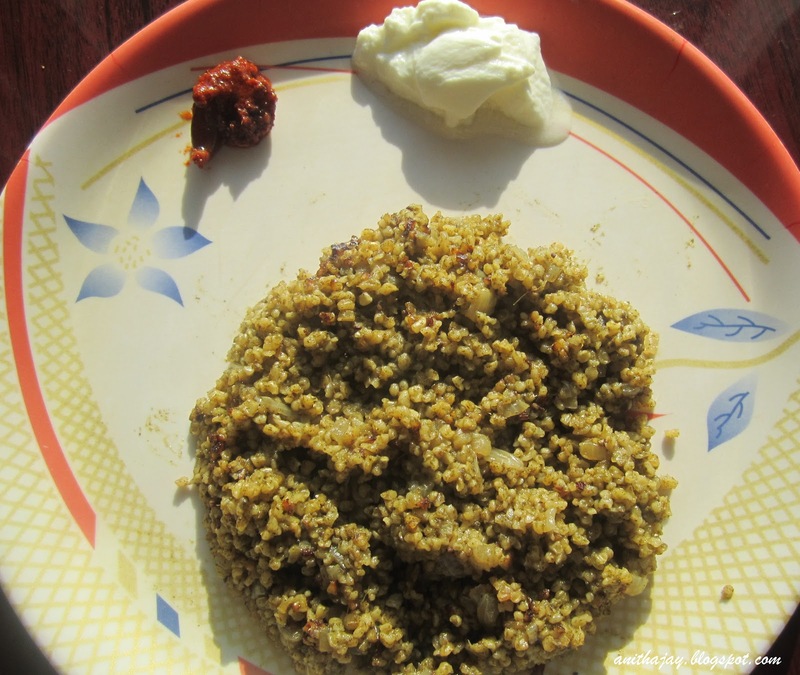 Cook till the cracked wheat are cooked and it becomes dry. Serve hot with pickle or raita.